The for sale sign in the front yard of 869 Fuller Avenue. Today was as close to perfect as you can get. The temperature sat just shy of 80 degrees with low humidity and the air filled with a delightful bouquet of violets, crab apple and choke cherry blossoms occasionally mixed with the enticing scent of barbecue ribs and burgers. Even better, the nemesis of warm weather-mosquitos-hadn’t hatched yet. 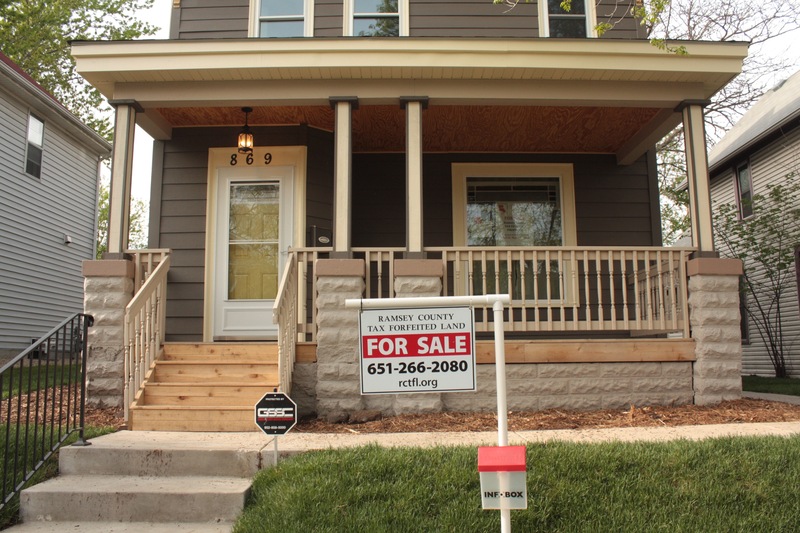 I set off to meet Kris Kujala and Paul Scharf of Ramsey County’s Tax Forfeited Land Division, for a 6:15 p.m. tour of a tax forfeited house in Summit-University that had been renovated and was about to go on the auction block. The ride, unusual because of the pre-arranged meeting, led me to take the most direct route so as to be on time. 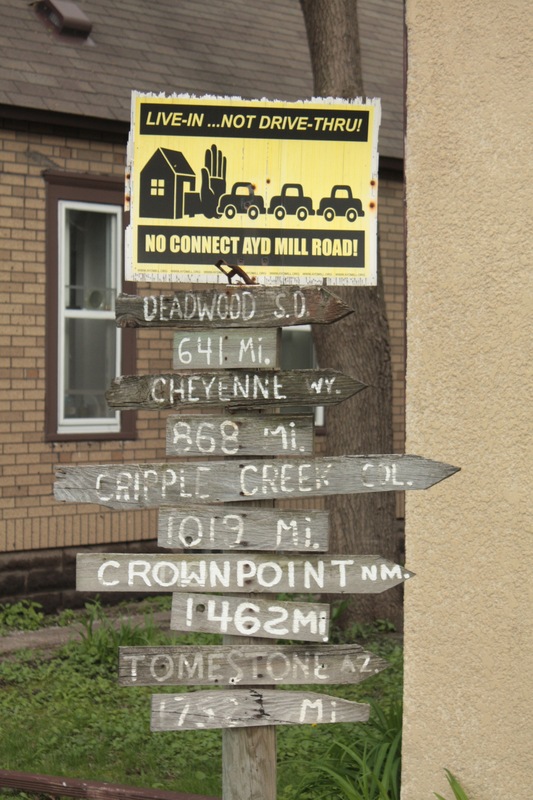 Despite that, I hit the brakes at 1482 Concordia Avenue (the south frontage road along I-94) for some unusual signage. I made it to 869 Fuller about 15 minutes ahead of schedule which gave me time to take exterior shots of the stunning 1887 Victorian. 869 Fuller in Summit-University after restoration. The charming look of the home belies the troubled history that brought it within days of demolition. An alley view of 869 Fuller. 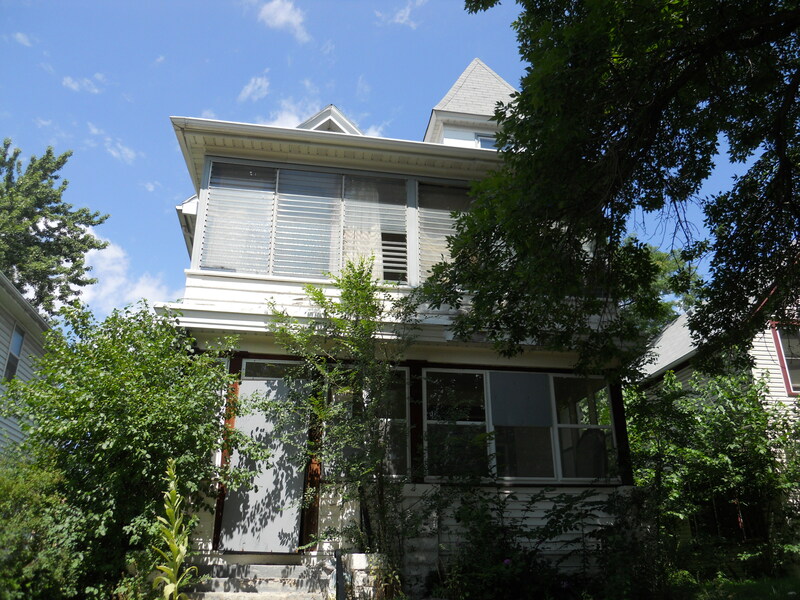 Prior to 4R, a Saint Paul ordinance made it almost impossible to sell the worst of the City’s tax forfeited properties. The so-called Bostrom ordinance (authored by Council member Dan Bostrom) was conceived to protect unknowing home buyers from unscrupulous sellers. Those sellers frequently made just enough cosmetic improvements to hide major problems, then sold the property to an unknowing buyer. Instead of forcing sellers to correct major code violations, the ordinance usually led to ‘Category 3’ properties remaining boarded up, blighting a block until they decayed to the point of City-ordered demolition. The 4R program gave Ramsey County, the eventual owner of tax forfeited properties, the authority to make major repairs, sell the properties and return them to the tax rolls. 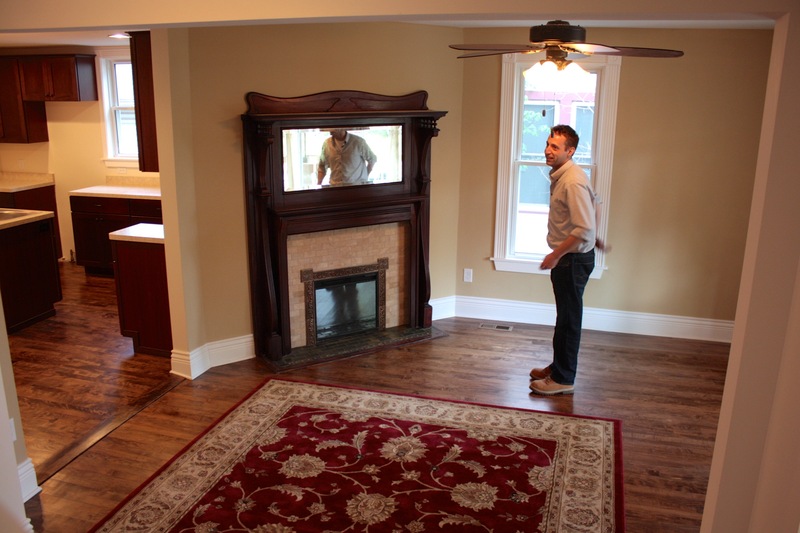 Paul and Kris explained that taxes on the renovated homes and those sold “as is” are up to $5,000 a year each. 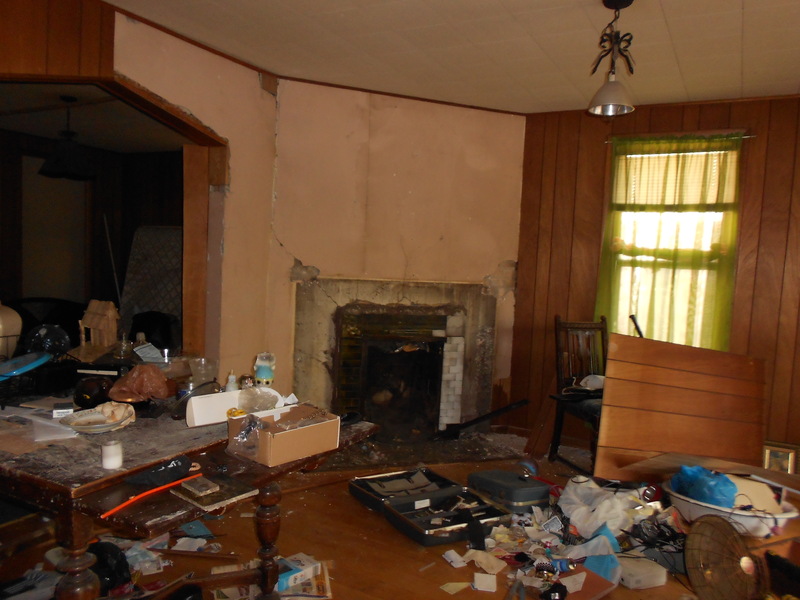 In contrast, the clean out, asbestos and lead abatement and demolition of a house, and properly dispose of the remains (including recycling) costs between $30,000 and $35,000. The empty lots that remain are valued for tax purposes at about $7,000 which generate between $200 to $300 in property tax a year. Renovations use salvaged and green materials when possible. For example, new windows must meet a specified level of energy efficiency; reduced flow faucets and toilets are installed and high-efficiency appliances replace energy hogs. 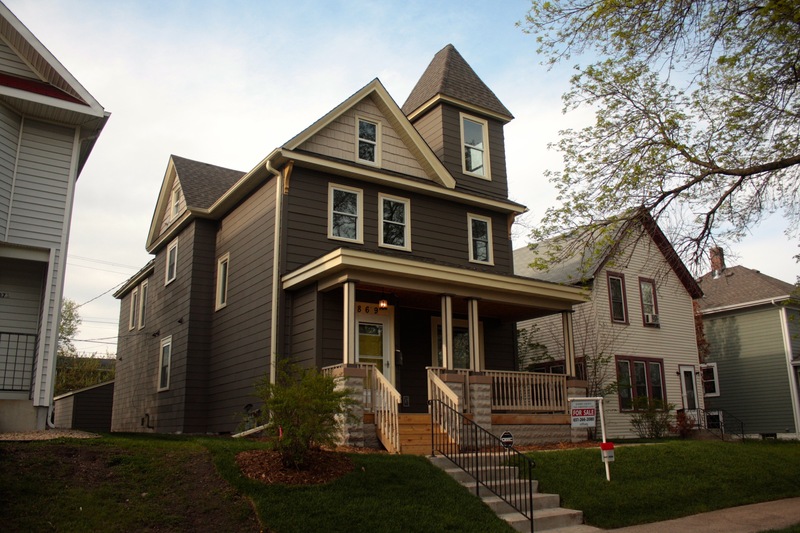 As for 869 Fuller, Paul said some City of Saint Paul and Minnesota Historical Society staff asked that it be put into the 4R Program because of its architecture and stature on the block. 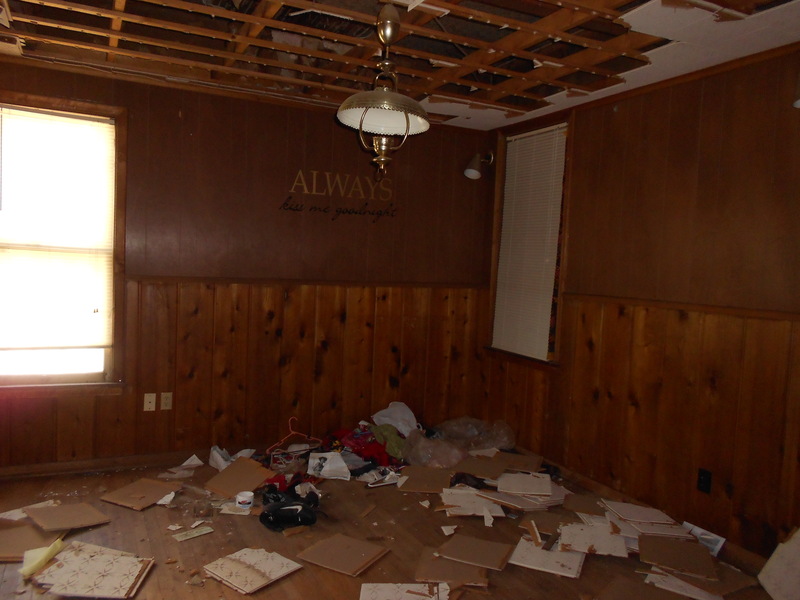 After the demolition order was revoked, renovation work began. The restoration should have taken 90 days from clean out to completion, an ambitious deadline. Kris and Paul requested bids only from contractors who could meet that, but between the tough winter and contractor issues, the house wasn’t finished and ready for auction until May 2014, about 60 days later than planned. The home’s five bedrooms had been split into 10 using curtains, there were holes in the walls, and bars on the windows. 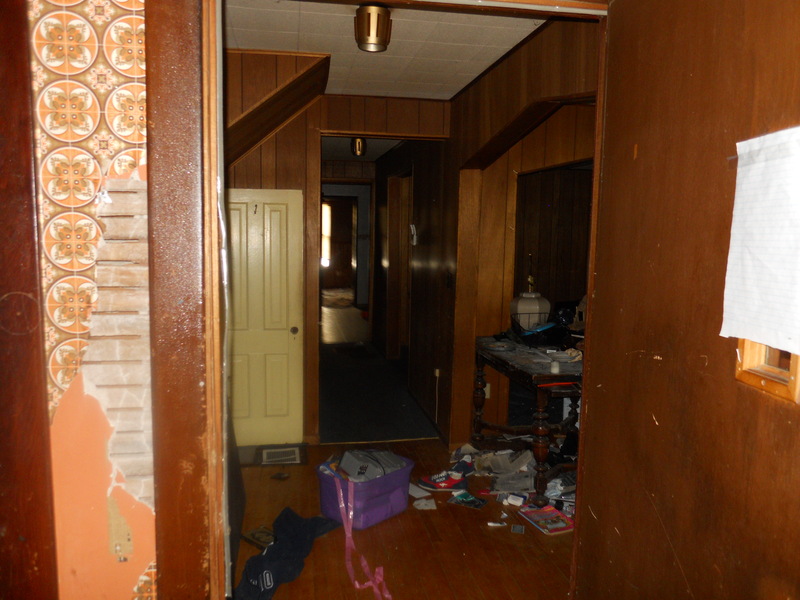 Mouse feces sat on floors and counters from one end of the house to the other, spoiled food festered in the refrigerator, used condoms and drug paraphernalia, including needles, littered the floor and clothing accumulated in piles four feet high. Despite all that, it took very little time before Kris said they began to see signs of life. “The boards come off (the windows) and then there’s light. And then things start getting swept up. And we start taking things out. And you start taking the bad things out. It’s like the house starts breathing again. It’s got life again. And then it becomes this,” she said emotionally, gesturing in all directions. 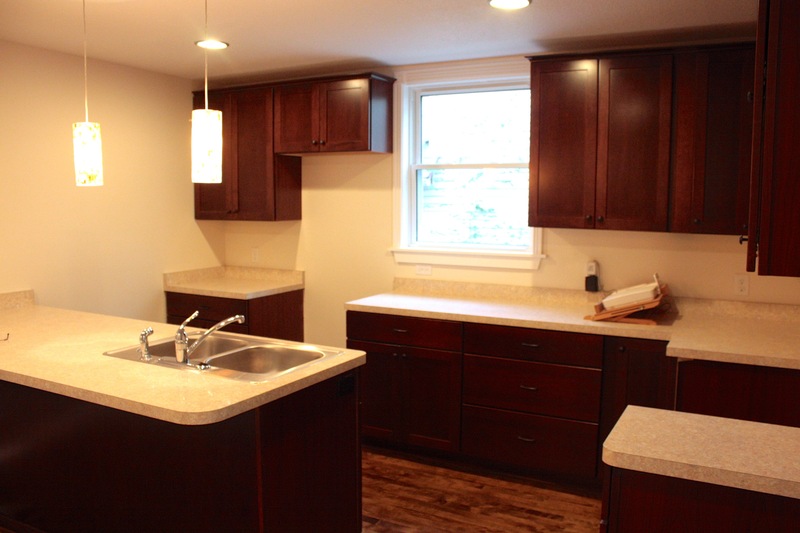 The new kitchen with new cabinets, counters and lighting. 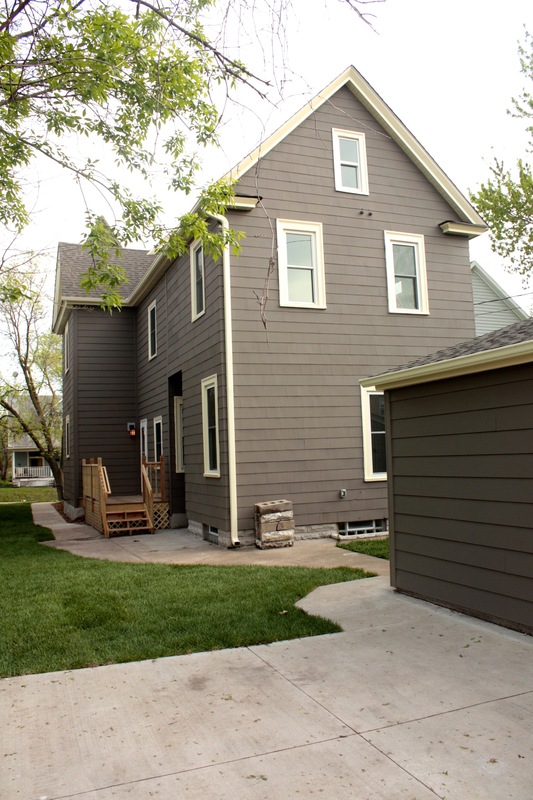 The exterior of 869 Fuller is close to original but the main level floor plan has been opened up for today’s lifestyle and a first floor laundry area was added. Many of the aesthetics and characteristics remain from when it was built more than 135 years ago. Paul Schaff stands in the lovingly restored living room. The 4R Program is a very creative and successful response to the vexing problem of tax forfeitures and how they can lead to neighborhood decay. Imaginative solutions to community issues like this deserve praise and encouragement. The 4R Program is more than a job to Kris and Paul. They believe so strongly in what they do and the positive effect it’s having in Saint Paul (and other parts of Ramsey County) that they willingly work 60 to 70 hour weeks and more to make the program succeed. This is the fourth year of the 4R Program, during which time about 14 structures have been rehabbed and more than 30 have been demolished. Do you now if they are using any green rehab certification programs? I know when the City of St. Paul does rehab, they require Green Communities certification — which ensures all around sound green practices, and especially that you’re making the most cost-effective energy efficiency improvements (Note: windows don’t fit the bill, although sometimes windows do need to be replaced). From you description, it sounds like this program could use some guidance like that program.